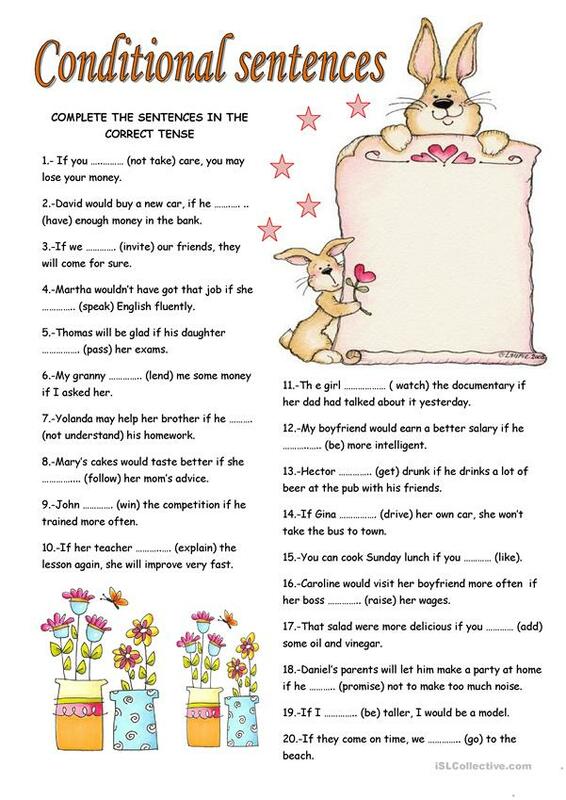 Students can revise the use of conditional sentences in this worksheet. They fill in the gaps with the correct tense. Hope you like it and later they can write their own Conditionals. The present downloadable handout is intended for high school students and elementary school students at Elementary (A1) level. It is a useful material for teaching Conditionals in English, and is excellent for strengthening your students' Reading and Writing skills.